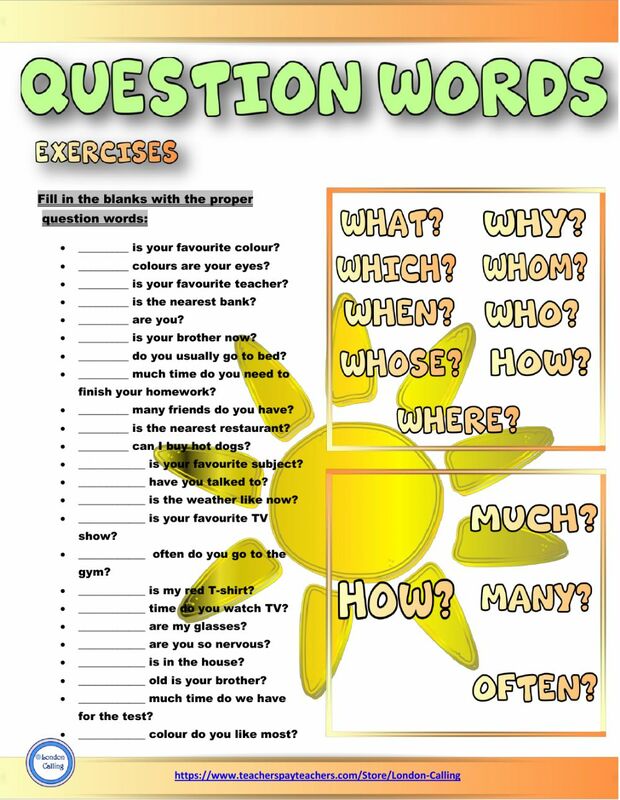 One page worksheet on question words. There are lots of sentence for exercising. Copyright 12/17/2016 Darija Radovanovic. Publication or redistribution of any part of this document is forbidden without authorization of the copyright owner.